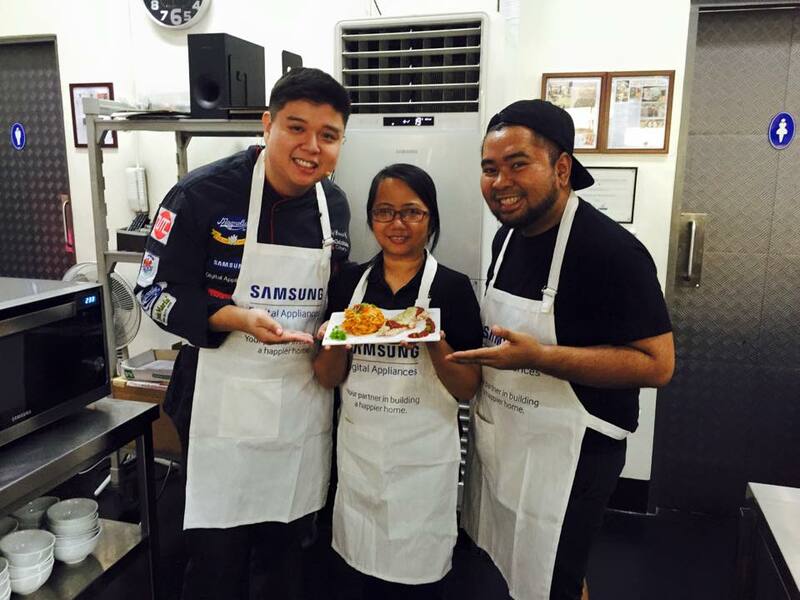 The 6th Samsung Digital Appliances Cooking Workshop highlighted Italian Dishes with a Filipino Twist. Chef Ernest Gala or GalaStars Culinary School shared his easy to prepare recipes using the Samsung Smart Oven. 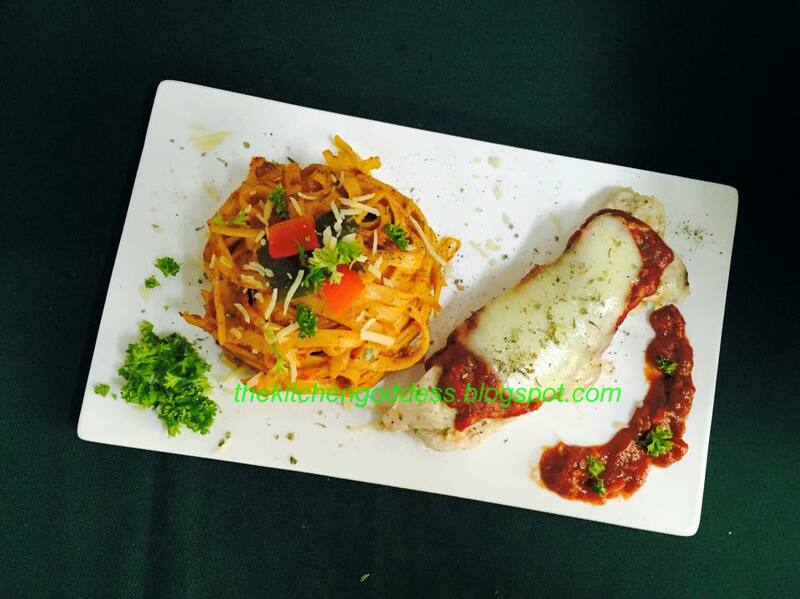 1) 500 grams chicken breast fillet. Pound with meat mallet. 2) To cook chicken, place the pounded chicken breast in oven proof dish. Set Samsung Smart Oven on Microwave and Grill function and time 4 minutes. Invert chicken and cook the other half for 3 minutes using the microwave and grill functions. 250 grams Hunts Tomato Sauce, 2 tsp Italian seasoning, 2 tsp sugar. Cover with cling wrap. Set Samsung Smart Oven to microwave mode at 450W and time 3 minutes.